Federal and Minnesota state laws prohibit places of public accommodation such as restaurants, public transit systems, shopping centers and grocery stores from discriminating against persons because of their membership in a protected class. Protected classes include race, color, creed, religion, national origin, gender, pregnancy, sexual orientation, marital status, physical or mental disability, receipt of public assistance, and age. The Americans with Disabilities Act and the Minnesota Human Rights Act also require places of public accommodation to make reasonable accommodations to disabled persons, such as making their businesses accessible to persons who use a walker or a wheelchair. 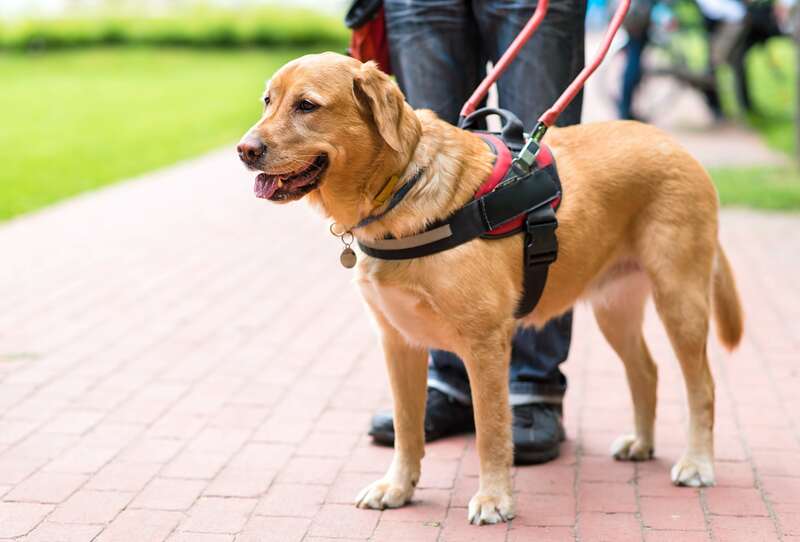 We have developed a sub-focus in public accommodation discrimination law, particularly in cases where a business refused to provide services or equal access to a handler because he or she exercised the right to be accompanied by a service animal. Contact the Law Office of Joshua R. Williams if you think you were denied services because of your membership in a protected class or your use of a service animal. If we believe that a place of public accommodation has violated your legal rights we will negotiate compensation or sue the entity and represent you in court, if necessary. Our client is a young man who suffers from a seizure disorder. If he has a seizure and does not take his anti-seizure medication immediately, he could die. His seizure disorder requires him to use the assistance of a service animal, an amazing dog named “Hope.” If our client suffers from a seizure, Hope retrieves his medication for him and alerts someone for help. Our client went into a big box retailer with Hope to purchase a video game console and the store manager immediately confronted him about his service animal. Our client has dealt with people in authority questioning him about Hope before, so he always carries documentation showing that Hope is not a pet, but a service animal. Even though our client showed these materials to the store manager, the manager kicked him out of the store and called the police on him. Under the Minnesota Human Rights Act, it is illegal for retailers and other places of public accommodation to deny services to people who require the assistance of service animals. We brought a lawsuit under the Act on our client’s behalf. To the company’s credit, they did the right thing and immediately settled for a fair amount, and even agreed to give our client a meaningful apology. Both our client and Hope are pleased with the outcome.